A graduate of USC’s famed film school, John Soriano has worked in Hollywood for over twenty years writing, developing and producing motion picture and television projects. 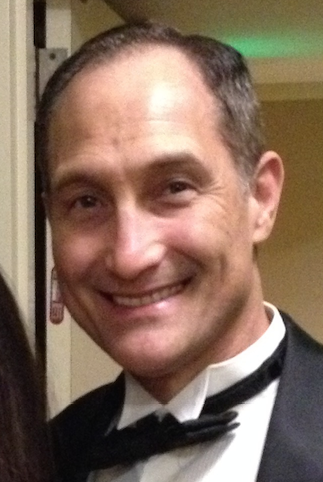 After learning the business side of writing as a literary agent trainee in the Triad Artists literary department (today part of WME), he moved to the creative side of the business with stints at Columbia Pictures and Universal Pictures as a story analyst. Shifting to Paramount as a studio executive, he worked on a variety of films from pitch through production, from smaller projects like Searching for Bobby Fisher to big budget projects like Tom Clancy’s Patriot Games and John Grisham’s The Firm. Moving to Universal to run director Rob Cohen’s company, John helped develop movies like Dragonheart, Daylight and Face/Off before becoming a writer himself, setting up projects at Warner Bros, Fox, and in TV at Universal/Tribune. Shortly after this period, John spent a stint at MGM Studios developing projects in all genres, from action thrillers like Into The Blue or Walking Tall starring Dwayne The Rock Johnson, to zany comedies like The Pink Panther remake starring Steve Martin. As the vice-chair of the Writers Guild’s media relations committee, he helped spearhead some of the Awards programs and content, such as the WGA Awards show’s Beyond Words, working with Oscar-winning writers like David Franzoni, Ron Bass and Curtis Hanson. From coaching and teaching screenwriting at the Maui/Hawaiian Writer’s Conference, UCLA and USC and interns at Paramount Pictures, to consulting with writers and producers, John has proven to be both creative and savvy in the business of storytelling. John recently departed a long stint at Paramount to join the 20th Century Fox story department, which affords him more flexibility and time to consult and write his own projects. 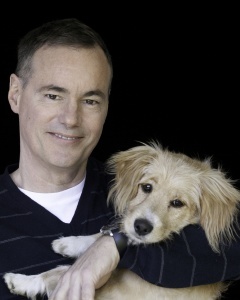 Bruce Cameron began his writing career as a humor columnist for the Denver Rocky Mountain News. Sadly, the Rocky went out of business, but he says that was not his fault. He is a Benchley award winner for humor and was the 2011 NSNC Newspaper Columnist of the Year. He has written for TV (the show 8 Simple Rules, based on his book) and co-wrote the feature film Muffin Top: A Love Story, which will be released in November of 2014. His novel A Dog’s Purpose spent 52 weeks on the NY Times bestseller list. DreamWorks is releasing the film in 2017. It as a film and he and his writing partner, Cathryn Michon, wrote the screenplay. The sequel, A Dog’s Journey, was published May 6th, 2012, and was instantly a NY Times bestseller.His novel The Dogs of Christmas was published October 2013, and he and his wife wrote the screenplay for Fox 2000. His novel, The Midnight Plan of the Repo Man, was released on October 28th, 2014. Nominated for an Oscar, and one of this year’s Variety’s Screenwriters To Watch, Meg LeFauve was a screenwriter on the blockbuster INSIDE OUT as well as Pixar’s THE GOOD DINOSAUR. LeFauve is currently writing on several projects including Marvel Studios’ Captain Marvel with Nicole Pearlman, and a film for Tina Fey at Disney. She is also writing and producing the adaptation of the classic book My Father’s Dragon with Cartoon Saloon. As a writer, LeFauve has written scripts for Studios as well as independent films and participated in the Sundance Screenwriters Lab with John Morgan for their project The Cavanaughs. LeFauve began her film career as a producer and President of Egg Pictures, Jodie Foster’s film company. During that time, LeFauve produced films which were nominated for an Emmy, a Golden Globe, and was awarded a Peabody for Jane Anderson’s Showtime film, The Baby Dance. LeFauve also produced The Dangerous Lives of Altar Boys for Egg Pictures. Starring Kieran Culkin, Jodie Foster and Vincent D’Onofrio, the film opened to rave reviews and won the 2003 IFP Spirit Award for Best First Feature. 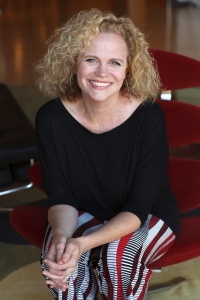 LeFauve was a mentor at Meryl Streep’s writer’s lab, and is currently a consultant to Screen New South Wales, Screen Australia, and Film Victoria. She has also mentored at the Sundance Creative Producer Lab and is a Board Member and returning participant at CineStory Script Sessions. LeFauve has taught at AFI and served as co-chair of the Graduate Producers Program at UCLA’s School of Film and Television, where she taught master level story and development classes for over seven years.